Hi all, have had to re-register but i've used the site before. My computer went away to be fixed but not I have no sound. I have tried going into device manager but it does not tell me anything and when I go into sounds and audio devices it says no audio device?! I dont know if I can just download a sound driver or if I need to match to my existing motherboard? (complete novice) and if I do, then I dont know how to find out my details? Can anyone help? my poor lad desperately wants sound on his game? Please understand we are all volunteers and we are not here all the time. make sure they will not cause any further issues. If you are receiving assistance in any other forum site please let us know as there may be conflicting advice given. Before we can help you need to provide the following so I can start you in the right direction. Edited by Nickynoodles41, 11 August 2012 - 09:55 AM. also not sure what you needed to see! Multimedia Audio Controller... sound driver not installed. Also I see no response to the following in post 2 so that I can help you. Do you know the make and model of your motherboard? 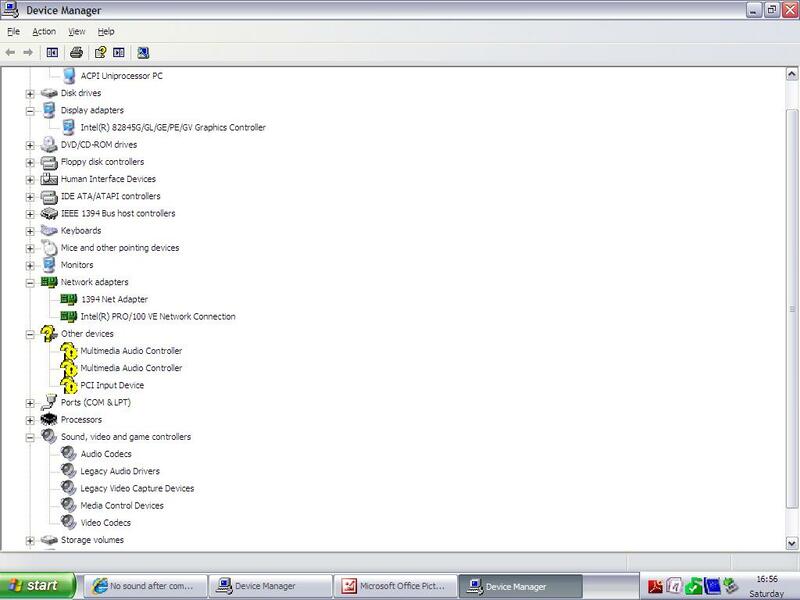 If not download SiSsoft Sandra and click hardware information. It will tell you your motherboard manufacturer and the model. Please post back here with that information. There are two drivers so you may have to try both. Okay, done that, It was the second one, as the first was not compatible. But then after restarting the computer - it wants me to insert disc, which I dont have - so Im still stuck!? Is it looking for a certain file? Does it say why it wants a disc? Are you using Windows XP? As the driver you've downloaded is a Windows Vista driver. This will give your the sound driver you need to download and install. Edited by MikeMason, 11 August 2012 - 03:02 PM. I've been searching for you but it must be quite an old computer and I can't find much on it. You may need a SoundMAX driver. Edited by MikeMason, 11 August 2012 - 03:16 PM. The system is actually classified as a UK emachines therefor the drivers seem to be different then normal. 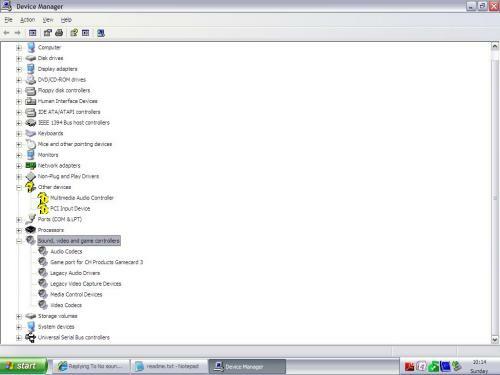 Plus looking at the log you had him run this shows a AC97 device which should be Realtek. Gateway will reject the Realtek drivers. They use SoundMAX drivers. Edited by MikeMason, 11 August 2012 - 03:44 PM. You can try the Soundmax as it won't hurt anything if it is the wrong driver. I believe we are on the right track but just have to find the correct one that works. Hello again! Yes it is an old machine! 1. From the Start menu, click Control Panel. 2. In Control Panel, click Performance and Maintenance. 3. In Performance and Maintenance, click the System icon. 4. 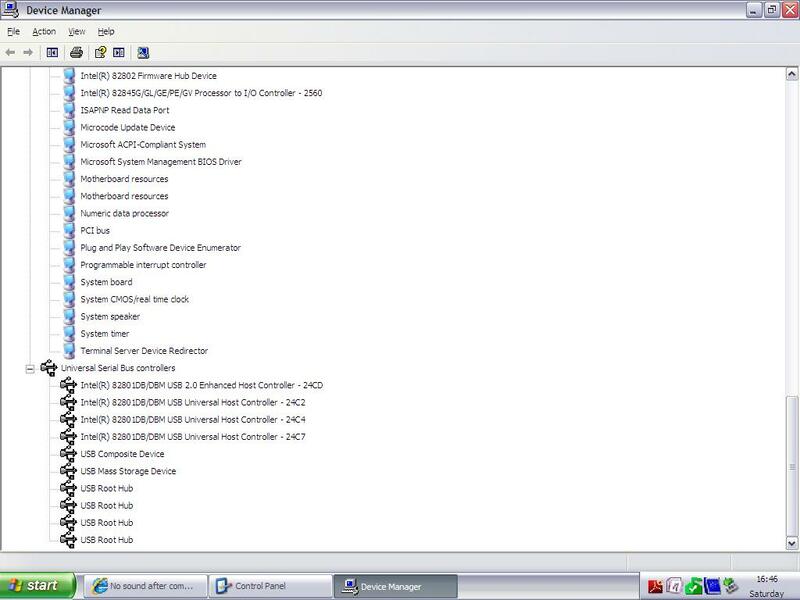 In the System Properties dialog box, click the Hardware tab, and then click Device Manager. 5. 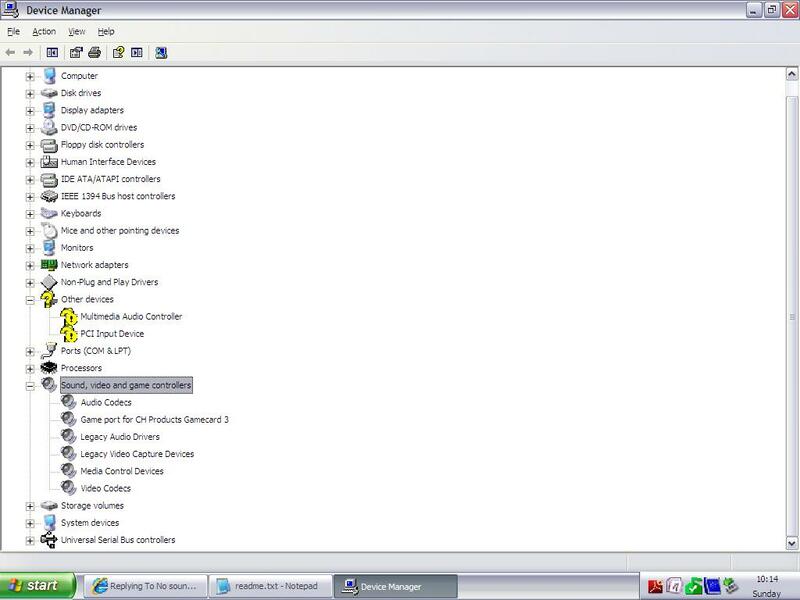 In Device Manager, double-click Sound video and game controllers, and then double-click SoundMAX Integrated Digital Audio. 6. In the SoundMAX Integrated Digital Audio Properties dialog box, click the Drivers tab, and then click Update Driver. 7. In the Hardware Update Wizard dialog box, select Install from a list or specific location (Advanced), and then click Next. 8. In the next dialog box, select Don't search I will choose the driver to install, and then click Next. 9. In the Hardware Update Wizard dialog box, click Have Disk. 10. In the Install From Disk dialog box in the text box, type: C:\Cabs\9521983. Click OK.
11. In the Hardware Update Wizard dialog box, to install the driver, click Next. 13. In the Hardware Update Wizard dialog box, click Finish. 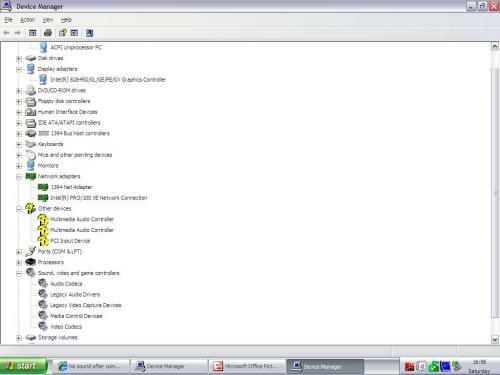 However, when I go into device manager and then sound, video and game controllers there is no soundmax listed? I have attached picture of what is there! Im so sorry to be a pain but I have no real idea of what I'm doing - and it shows! !